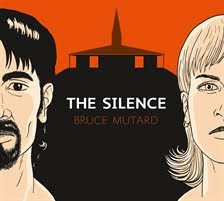 As the first volume of his epic graphic novel is released, writer/illustrator Bruce Mutard reflects on how much of contemporary Australia he sees in the 1930s and being political without the polemics. With the release of his 250-page graphic novel, The Sacrifice, Mutard has both guns blazing. The first of three ambitious volumes, the book follows Robert Wells, a pacifist who finds himself gradually drawn into World War II. The book has already drawn comparisons with Art Spegelman’s three-book graphic novel, Maus, which scored the Pulitzer Prize in 1992 for it’s re-telling of Jewish experience during the same conflict. The Sacrifice has a different tack. Set in 1930s Melbourne it asks if war is ever justifiable. Mutard began work on the book in 2004 as the War on Terror legitimised itself as a necessary conflict to track down still-undiscovered weapons of mass destruction. The parallels between the two periods interest Mutard. Stories attract Mutard to his projects. 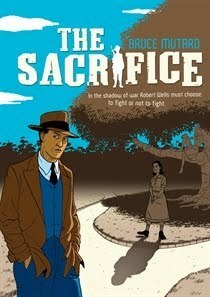 The Sacrifice was originally conceived as a single book, but the trilogy continues with The Fight and The Return because the narrative took over. “That was a bit of a surprise. It was never planned to be a three volume set. It was relatively late in the game that I realised that it was logical to take the story of Robert, to follow him in uniform, into the fighting scenario, then after that. How do you get out of uniform, if you’ve been a soldier? How do you come down from that completely alien lifestyle to ordinary life?” And it’s these human questions and stories that originally inspired Mutard to create graphic novels. An edited version of this profile originally appeared in The Big Issue.